I was asked by Lumaza to put a copy of my long post or 'kind of' article on the Void here on the Pulse. Problem is though with formatting issues that made just paste+copy not good enough (quotes, pics, formats, links all would have to be adjusted or reuploaded) and it is also very long. The reformatting problem combined with the length issue is also the reason I did not even post it on my own little OBE-blog (https://astral-blog.weebly.com/blog) yet. So that's why me and Lumaza agreed that I just add the link and it can of course be discussed and commented on here in this thread then. I put the table of contents here, so you can see the structure. Maybe it is not perfect English language (as you know I'm not a native speaker) but I was tired and short of time for doing more proof-reading. So I decided it is good enough. I also wanted to finish this before the new year started. I wrote it in a thread as 5 posts on my soon-to-opened (or not ...) OBE-Forum which I had created and built just days before during October and November last year. This spontaneous forum was meant to serve as a 'backup forum' because as some you know the EIC forum vanished last year and the Astral Pulse was also 'offline' quite a long while. Without further ado, here is the link. As is also stressed in the article's introduction, the corroboration via multiple sources / witnesses / authors was my goal. I think I accomplished it. Maybe if you decide to have a read then do it in installments, bit by bit or chapter by chapter, since it might take time. It is long and it also contains a certain degree of repetitiveness due to the corroboration aspect. So it also can be boring. Even more due to the 'bare' or 'dry' content which is more 'basic' since we might go to the basics of reality itself, at least that's what I think. Let me be the first to say, "YOU DID A AWESOME JOB WITH THIS"! I think it is definitely "Sticky" material! "Warning: Due to repetitions it also can be boring. Even more due to the 'bare' or 'dry' content which is as I already said more 'basic'. So there's no dragons, ascended masters, ET councils, timeline shifts, Events or angels. No Game-Of-Thrones-Meets-Harry-Potter-Meets-StarTrek stories. Sorry, can't help it. Lots of music, a crashed UFO and ancient structures on Mars, an akashic planetary library, a few inspirational quotes and baby bottles. Yes, you read it right: baby bottles. You did do an awesome job Volgerle. I read it at the link you provided the other day and am glad to see you posted here as well. I like how you included so many notes and observations from so many sources. Special note to Xanth: Dammit Xanth you missed the Baby Bottles! I just don't know what we are gonna do with you. Thanks for all the info. Looks like a lot of great stuff there and going to take some time to go through it. I've already gotten started! Don't worry Xanth, those are things that you can find in the Void! There is a lot "repetition" in there because many of us seem to perceive it the same. Well not exactly the same, but with a lot of similarities. The one consonant is, that it is a area that can be and shows it is, accessed by all! I have been doing a lot of experimenting and exploring this Void deeper and have found that it can be what "it" needs to be. I was going to say "what we needed it to be", but it seems to be some kind of NP tool that can be utilized as a springboard to much more. I have had a number of my Phase/soak sessions interrupted by something that I needed to handle in this physical realm here, while I was deep in this Void area and found that if I left too quickly, it had adverse affects on my physical waking state of mind. What I have found is the need to walk myself back down after a Void depth experience. A few weeks ago I was doing a phase/soak session and one of the grandkids knocked at the door, needing to use the bathroom. I opened my eyes, got out of the tub, grabbed my towel to dry myself and nearly landed flat on my face. I got severely dizzy and vertigo had set in. That and other episodes similar to that have made me come to the conclusion that indeed there is some kind of brain wave alteration while accessing the depth needed for a full blown Void experience. I would be curious to know if the other Authors of Astral Travel and other experiencers noticed anything like that as well. It seems that if I shift back too quickly, I am left sluggish and have a difficult time for a few seconds "reorienting" myself back to this physical focus. Because of this I now walk myself back to the physical before opening my eyes again. I then will take a few moments just "re-acclimating" myself back to my physical surroundings again. For years I have been using Binaural Beats and Isochronic tones. I used to use them for my daily Phase sessions, but now I do my Phase sessions as a soak in the tub, so earphones are out of the question. I still use those Bin beats and Iso tones during the day because I have found that they really do help "entrain" the brain. They teach you to get used to the various brain waves levels that a person shifts through in meditation and any form of conscious shift as well. I believe and have been shown through my personal research that the lower your brain wave is, the deeper the depth of your experience is as well. I do believe though that after awhile you don't need the Bin Beats/Iso tones anymore. You seem to learn how to lower those brainwaves yourself. The "tool" isn't necessary anymore. I still enjoy them and that's why I still use them. Only the ones with musical accompaniment though. I could never get used to those "monotone" ones. I found them "creepy"! Tonight, I watched a rerun of Ancient Aliens from 2017. After seeing it, I would say it was probably one of my favorite episodes as of yet. Here is the "header" for that particular episode and a link to it as well. "Throughout history, prophets and visionaries have claimed to be able to telepathically access knowledge and information that would ultimately steer the course of human history. But if true, where do these individuals get their visions? According to ancient mythologies, there is a universal repository of knowledge known as the Akashic Record. While most mainstream scholars relegate this to the realm of mythology, recent scientific discoveries have opened the possibility that such a repository could actually exist--and is accessible by the human mind. Giorgio A. Tsoukalos meets with neuroscientist Dr. Dario Nardi to measure the brainwaves of Dr. Deepak Chopra as he enters a state of deep meditation to observe the physical changes in the brain as he connects or taps into something beyond ourselves. 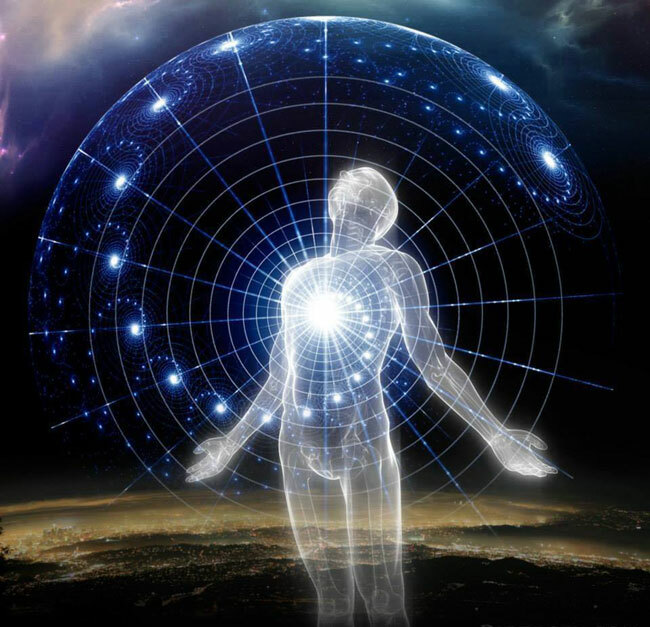 Could our ability to tap into the Akashic Record lead to the next giant leap in human evolution--and connect us to other intelligent beings throughout the cosmos?" I posted this because some of what was discussed in this episode is related to the conversation on the "Void". Dr. Deepak Chopra called the Void "Cosmic Consciousness". They never used the word the "Void" in their explanations and narrative, but from Experiencers that have been there done that, we know exactly what they were talking about. The measurements of Deepak's brainwaves showed that while he was deep in meditation there were noticeable changes in his brain waves, especially in the locations of the brain's activity. , looks interesting... going to check it out , thanks Volgerie. Perusing through the Astral Pulse last night I found this Gem in a search on the word "Void" here. There were pages and pages of posts that came through that search. This thread was definitely pertinent to this discussion here though. I particularly thought this part of the whole quote was excellent. It was short and sweet, but also simply described the problem that I think most people have when finally getting to this stage of their approaching shift. For the longest time, I had the same problem as well. I rectified when I learned the true meaning of the words "passively observe". "The many times I managed to shift my focus of attention to the 3D Blackness I was only there for very short periods of time. I'd get there and think, Oh WOW! I'm there! And in the next moment I'd be back in 2D blackness. I had to learn to relax and just let myself be there once I arrived. I havent read the entire void post but went to the website it is posted in. Great new website. Hope it generates traffic. Looks like you put alot of work into it! Registered! Thanks. Please be patient. It still takes a while until the forum opens and registries til then will be accepted and forum discussions can start. You registry is noted and in the queue. Thanks for registering and the nice words. I will keep you posted on the forum development and you'll get the 'go' message as soon as it started. This is true for everyone else here, of course. You can register if you like. Forum might start soon.